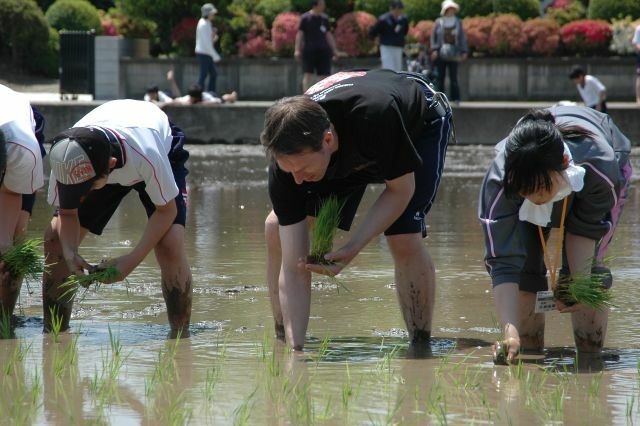 Richard Mosdell モズデル・リチャード: Rice-planting! 田植え! 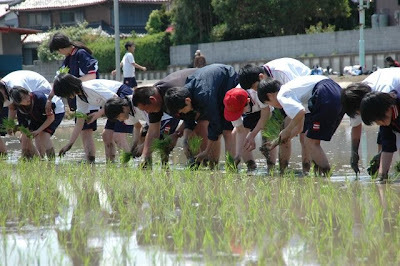 As part of the school's Earth Project, I helped the junior high school students plant rice last weekend. 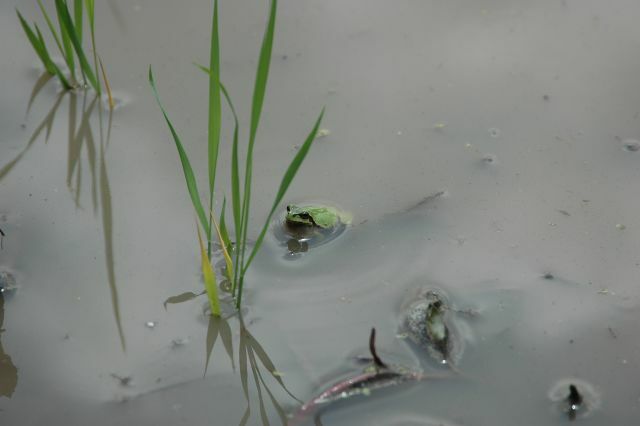 This was my first time to sink into rice paddy mud to plant the national food. I think for most of the students it was their first time too - it was obvious when many screamed 'Gross!' when they stepped in. Having watched various old Japanese movies, I had this image that we would all sing rice-planting folk songs, but no one does this anymore I was told. Thanks to the student's families who also helped. Lots of frogs, tadpoles, water striders and one student said they saw a small fish. So, what's the karate connection? I was wearing a Japan High School National's t-shirt, and the boys beside me are in the junior high school club! And some students learned this quite clearly when they fell into the water too!